Add a splash of color and a touch of charm to your home with the Windows Metal Wall Decor. 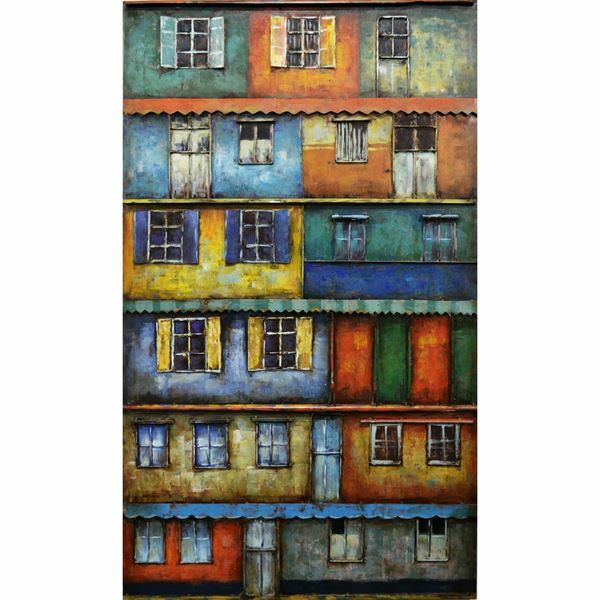 This piece combines layered pieces of painted metal in a variety of hues to depict buildings with windows in different shapes, styles, and sizes, making it perfect for adding whimsy to any room. Add a splash of color and a touch of charm to your home with the Windows Metal Wall Decor. Metal Windows Wall Decor by Prime Taste Artwork.